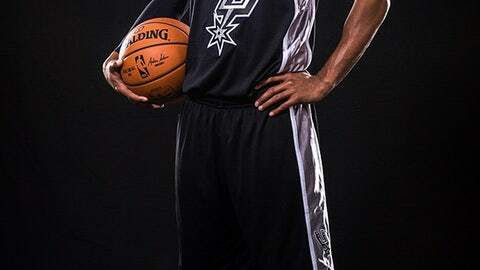 Tim Duncan and company will be sporting some new uniforms for the 2015-16 season. 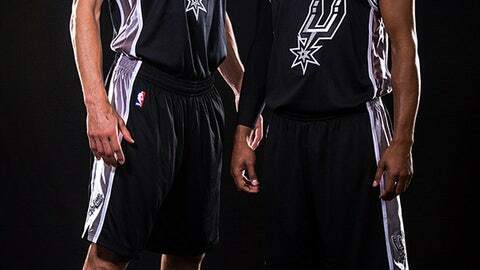 The Spurs revealed their new "Black Signature Series" alternate jerseys on Thursday. 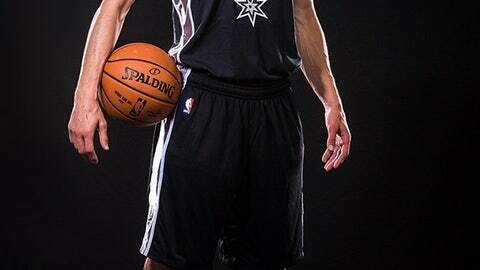 The teams says they will debut the new uniform at their home opener against the Nets on Oct. 30. 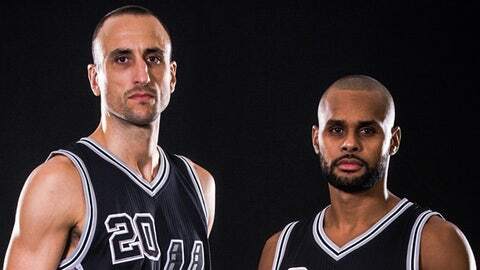 Manu Ginobili (left) and Patty Mills.